Combine the vinegar, water, sugar, salt, mustard seeds, Pepper Corns and chili flakes in a small sauce pot and bring to a boil. 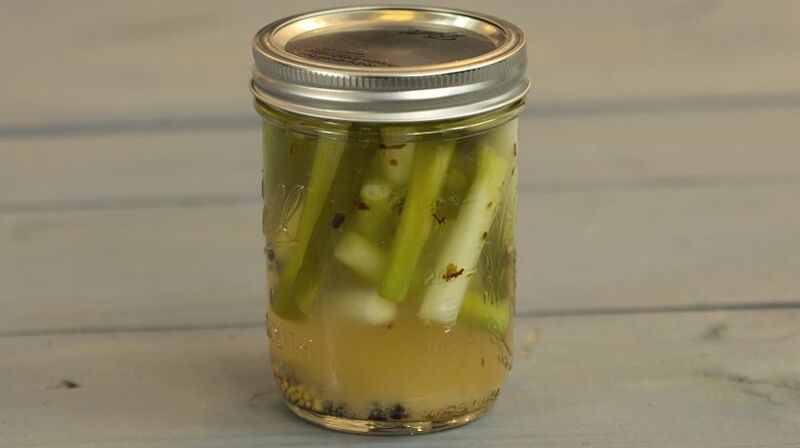 Pack the green onions in a clean wide mouth glass pint jar. 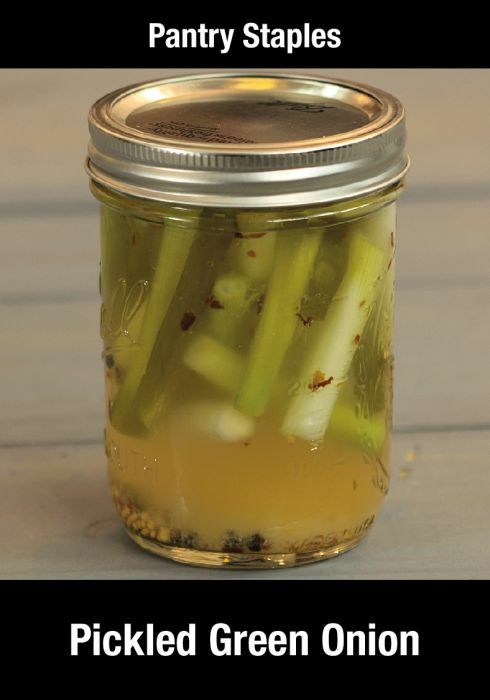 Once the pickling base comes to a boil, remove from the heat and pour over the scallions in the jar. Cover the jar tightly with a lid and allow to come to room temperature. Once they are at room temperature place them in the refrigerator.